Pinnacle’s standard 420 BBL open top tank is equipped with a fixed stair and walkway for safe observation of tank contents. 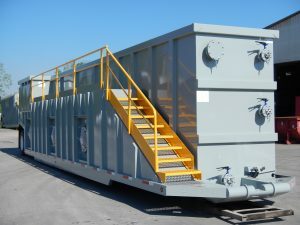 Options include weirs, custom connections, hatches/lids, and custom coatings. Contact Pinnacle to learn more!